"The mash up that will leave you gnome"
'The most difficult crime to track is the one which is purposeless.' - Sir Arthur Conan Doyle Seven years have passed since the war of the gnomes occurred to the soundtrack of Elton John classics in Gnomeo and Juliet. The animated retelling of the Shakespearean classic of Romeo and Juliet provided families with a forgettable, but a relatively innocuous rendition of this classic love story. With Elton John in gnome form singing his way out through the conclusion of the film, the hope was that this would be the only installment of these adventures of the back garden figurines. The simple wish was dashed like clay pots against the footpath with the release of the classic mash-up of Shakespeare and Sir Arthur Conan Doyle with Sherlock Gnomes. Since the original garden adventure, the Gnome community has moved to the big city of London. As they adjust to their new surroundings, Gnomeo (James McAvoy) and Juliet (Emily Blunt) are given the added responsibility of leading the band of garden figurines. The additional tensions of leadership cause a rift in their relationship which leads them outside of the backyard and onto the city streets. While they work through the challenges of their romance as managers of this unique community, the rest of the garden figures disappear from the garden. Within moments of their horrific discovery, the infamous detective, Sherlock Gnomes (Johnny Depp) and his faithful assistant, Dr. Watson (Chiwetel Ejiofor) come to investigate. They have discovered that this crime was one of many gnome-nappings that have been occurring throughout London. With their prime suspect being a pie mascot named Moriarty (Jamie Demetriou), the crime-fighting duo must partner with the gnome lovers to find the lost gnomes of London. This year has been devoid of good family film options and studios seem to be desperate to find stories that fill this chasm between superhero adventures and horror films. 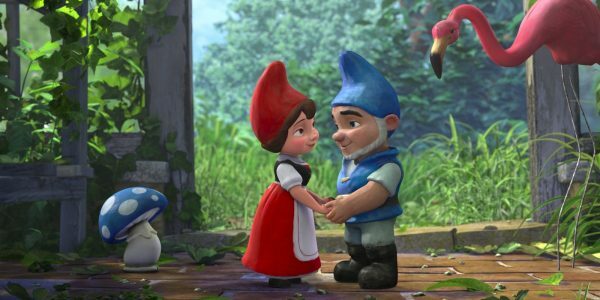 When Peter Rabbit and A Wrinkle in Time are the only other offerings for parents, Sherlock Gnomes comes off as a brilliant option, by mere default. This sequel is a desperate attempt to provide families with young children an opportunity in theatres. The combination of these classic literary characters is predictable and lacks creativity, but does provide harmless entertainment for children. The jokes and story elements are merely rehashed from the first film of this figurine fantasy and will give the parents an opportunity to take a nap. 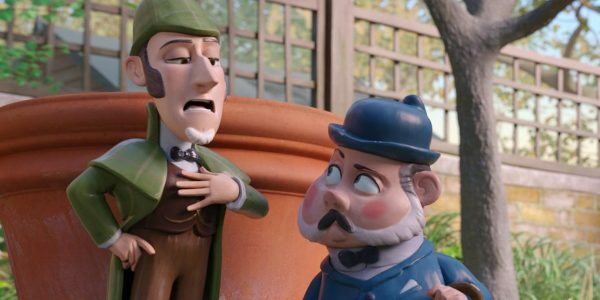 Due to the multitude of reiterations of Sherlock and Watson, fresh material is nearly impossible to come by and this animated version delivers nothing to the detective's canon of work. Then for the production team to overlay the whole film with vintage Elton John songs makes for a bizarre encounter that fails to justify the need for this chapter. Sherlock Gnomes does provide families with a safe option for children during this season of limited options, but will not cause a groundswell of gnome purchases at the local garden store. 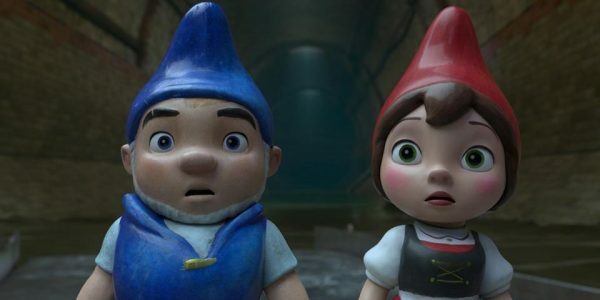 What do parents need to know about Sherlock Gnomes? Our junior reviewer found the film to be entertaining and straightforward, but somewhat forgettable. Potential discussions parents could have with children after screening the film would be on the topics of the people in their lives. Talking with them about the fact that school projects, games, and objects should never take precedence over the people in their lives, like their parents, siblings, or friends.